The Tampa Bay Buccaneers have not been able to establish the run game without Doug Martin, and yesterday was no different. 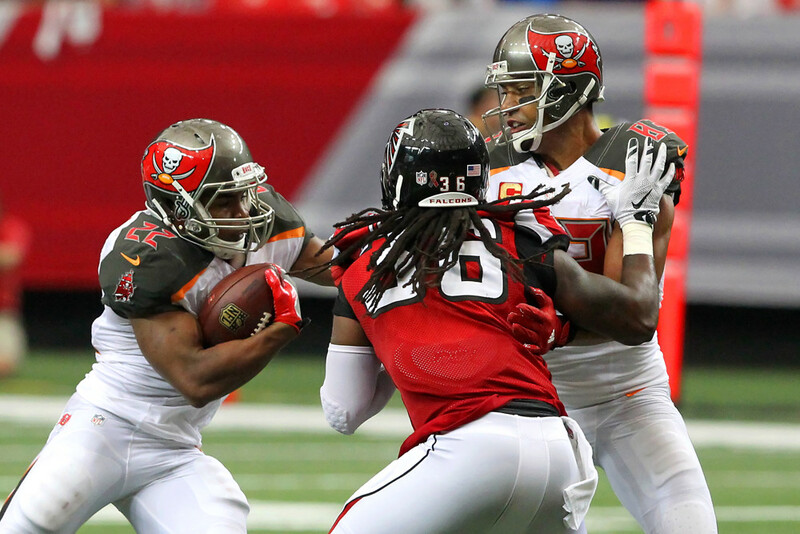 Charles Sims was only able to record a meager 28 yards on 15 carries. The fact that Tampa is not able to get the run game established has taken an obvious toll on second-year quarterback, Jameis Winston. In week one, when Jameis had running back Doug Martin, he threw for four touchdowns and only one interception, since then, he’s only thrown 4 touchdowns and 7 interceptions. In Sunday’s game against the Broncos, the running game was non-existent for Tampa, and in turn, shown how it effects Jameis. Jameis had made some mistakes early in the game, throwing two Ints to former Buc, Aqib Talib, but the pressure continued to build, and Jameis was noticeably stressed, due to all the weight being put on his shoulders. The running game must be established, or kiss our season goodbye. Our secondary is ‘TURRIBLE’. All of them are to blame. Not just the safeties, not just the corners, and not just the defensive coaches. ALL OF THEM! Tampa can still pull out a pretty solid season. At least, one that’s better than last year. And with the NFC south in shambles right now, including the 3-1 Falcons. (Because they fall off as the season goes on) Tampa could still find themselves in a playoff race. I believe we still have a shot, even if we do lose 6 more games. Next articleAre you losing faith yet?